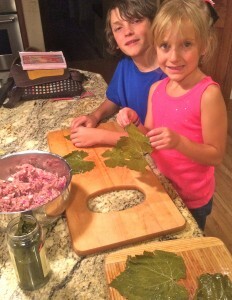 I LOVE having my kids in the kitchen with me. It doesn’t always happen, but when I can cook things that are fun and engaging, that get them involved, the time we share is priceless. That’s when conversation flows easily, when we share stories and work together. 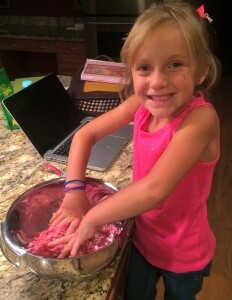 These are the moments that remind me of my best growing up memories in my Mom’s kitchen. 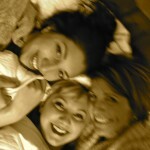 And they’re the moments that remind me of who I want to be as a Mom, and what I want to give to my kids. One of our favorite recipes is for homemade Dolmades–most people have heard of “Dolmas” but I grew up with Dolmades, the Greek version. 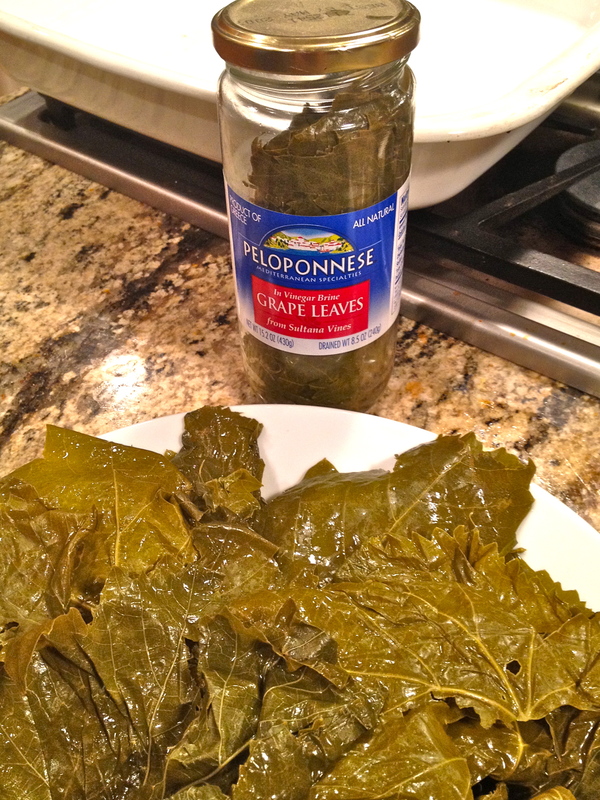 Dolmas, traditionally, are rice wrapped in grape leaves, with a light lemony sauce. 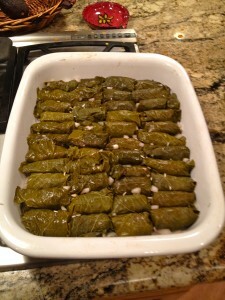 Dolmades are similar but with meat inside as well. And the great thing about this recipe is it’s a fun way to get kids involved in helping with dinner! 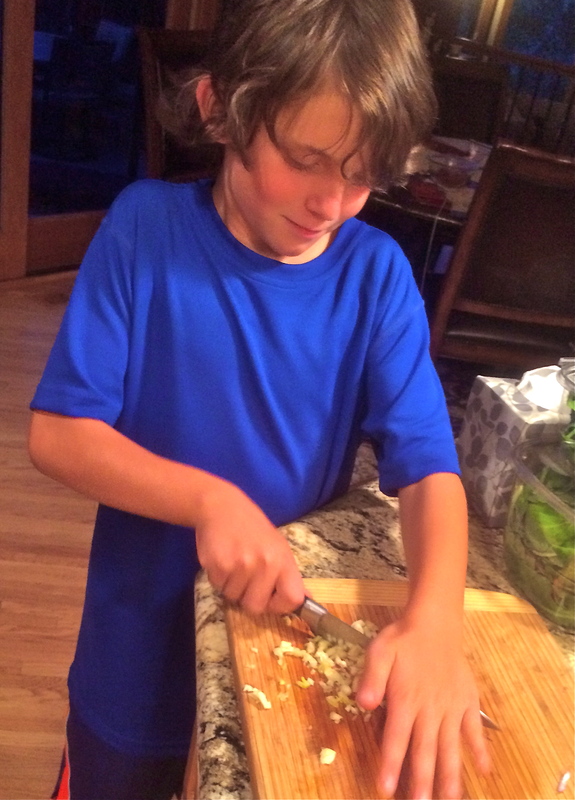 Here is my recipe–a little different than what my Mom and Dad have done, and adapted as well from my sister, Martha’s, recipe. They’re really not that difficult at all, so have fun and get your kids involved! In a large bowl, combine meat, rice, onion, garlic, spices, and paste. This is where the kids start really having fun! Get your hands in there and blend it up really well. Lay out your grape leaves and gently separate them. 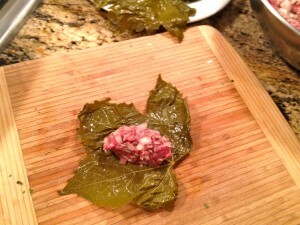 One at a time, take a spoonful (or small handful) of meat mixture and place into the center of the leaf. Roll the ends over and roll lit up into a small tube. Place in a large flat pan with sides that are about 2″ high. Pour chicken broth and the juice of your lemons over the top, just to cover the rolls. 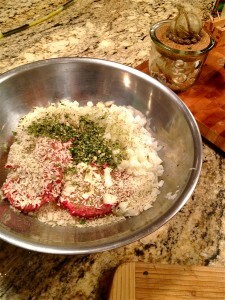 Just before you take them out of the oven, ladle some of the broth out and place into a sauce pan. Remove the Dolmades and place into another pan, so you can add any leftover sauce into the saucepan. This is great served with a green salad! Earlier today, I wept. And I mean wept like an out of control infant. And as I wept, four women from my family sat—my mom, my sister and two of my adult nieces—witnessing me and, ultimately, holding the space for me to let fly some of my deepest hurts and fears that are currently manifesting in my world. All of us talked, shared, fought, argued… and much of it wasn’t pretty. Much of it was connected to deep and unresolved family issues that are merely triggered through current hurts. It was messy and ugly and even mean at times. Later, after we’d had time to process and talk more, it softened. We softened. 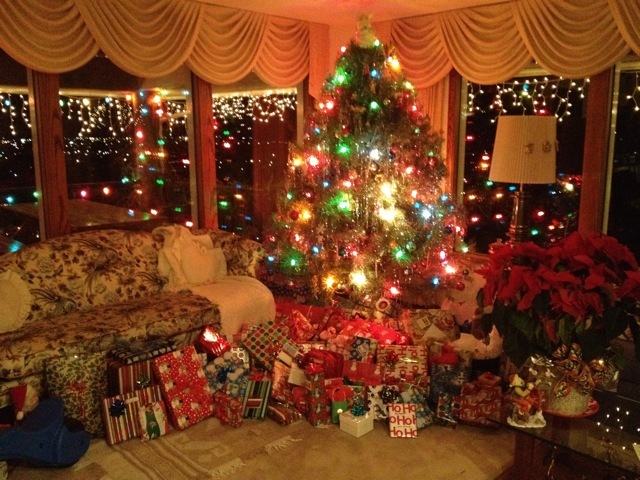 So as I sink into resting my body and mind tonight—Christmas Eve—my children and their cousins dreaming of dancing sugar plums, cozily nested in the living room fort they’ve inhabited for three days now, I’m struck with awe as I take in the meaning, for me anyway, of family. I have a big, fat Greek family. And we’re full of all sorts of big, fat Greek drama and history that, like so many families, could fill volumes with both tragedy and hope. And I love my family—I love the culture and the character. I love the quirkiness and the downright madness. And when I can get objective about the defensive character strategies and generational patterns and overall dysfunction, I gotta say, ultimately I love that too! Then there are those moments when I’m not objective at all. And, as a therapist and a person who’s practiced mindfulness and tolerance and calming my nervous system in the face of distress, and healthy communication… for me to get completely “caught” in the mayhem—completely subject to some story—is not at all a comfortable place to be. In fact it kind of wrecks my ego and challenges my whole identity. Today, I became really uncomfortable. And I got messy. And then right within all the messiness of my own head, something occurred to me. I felt trust—(something else that isn’t altogether comfortable). And I thought, how astounding to know that no matter how childlike I get—no matter that I’m not the skilled therapist 24/7, there’s a place where I can lose myself? And while I don’t necessarily think my whole family “gets that” or is comfortable with it, if we can stay in the messiness long enough, what we can get—what I got today, was that no matter how angry or ugly I am, I know beyond anything that they’ll all still be here. And when I can allow myself to be vulnerable enough to actually feel that—I breathe a little deeper and something really good happens in my body. So, we salvaged Christmas. We did the repair work—not all of it but we definitely got a start for the New Year. And I sunk my heels in a little deeper, into the knowing that I’m intimately connected with this group of people whom I call Family. 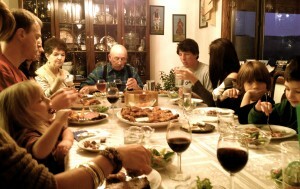 Our families are never exactly as we would have them. And yet, if they were, how would we be challenged to take flight from them, become the people we have chosen to be, and still remain connected to our original foundation? It’s through differentiating—stepping back just far enough so that we can see the people we love—that we find the true strength in Family. Many Blessings to you and to your families in the New Year!